The Heritage Golf and Country Club is an exceptional golf club that offers a range of membership options for players of all skill levels. The golf club has two excellent golf courses settled on a scenic landscape and members are welcome to play at both of these signature golf courses whilst visiting the club. The first course is known as the St. John course and was designed by Jack Nikalaus. It is a par 72, 6670 metre course with sculptured fairways and challenges at every turn. The second course is called the Henley and is located on the northern shore of the Yarra River. 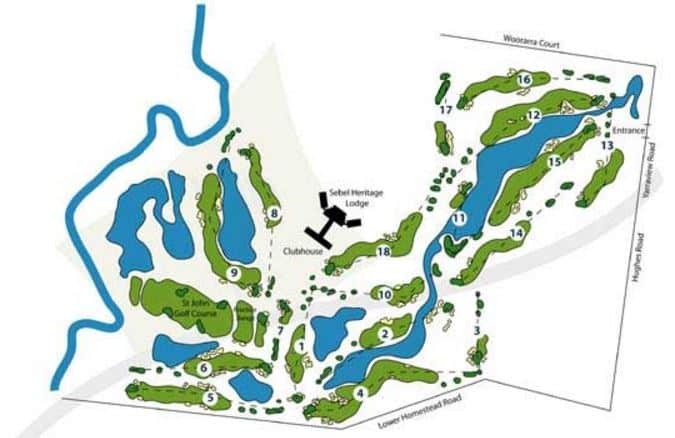 Here you will find a tranquil course which is rich in wildlife and bordered roughs, making this a challenging course. The Heritage Golf and Country Club offers a range of exclusive membership benefits, especially for club members. You will be happy to know that the Heritage offers an array of upscale amenities and services for its members including access to the private members lounge, bar and spa facilities. There is also a fully-equipped gymnasium, sauna, indoor heated pool, tennis courts as well as a BBQ area with dining facilities. Those interested for a relaxing spa treatment can also come here. The day spa facility offers a range of specialised spa services including facials, manicures, pedicures and massage. If you are looking for accommodation near the golf course, click on our link below for the best accommodation deals.